Imagine not feeling well and rather than calling the doctor’s office to schedule an appointment that may not be until a few days later, one calls the doctor directly on his cell phone to describe their symptoms and gets a diagnosis. Imagine noticing a new rash and Skyping the doctor, or texting him with a question regarding treatment. This might sound unheard of, but for Dr. Michael Luciano, this is the future of medicine. 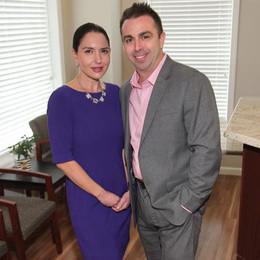 In fact, he and his wife, Inna, are implementing this approach—also known as Concierge Medicine—into his own practice. According to Dr. Luciano, Concierge Medicine is an innovative way of efficient and quality primary care. Dr. Luciano comes from a family of respected doctors—his father is an orthopedic surgeon and his grandfather was a primary care doctor. His grandfather used to share stories with him about the way he treated patients in the past. His grandfather’s office was connected to his house which is a sign of how dedicated he was to his patients—they could always get in touch with him, which is important in primary care because you never know when you need your doctor. 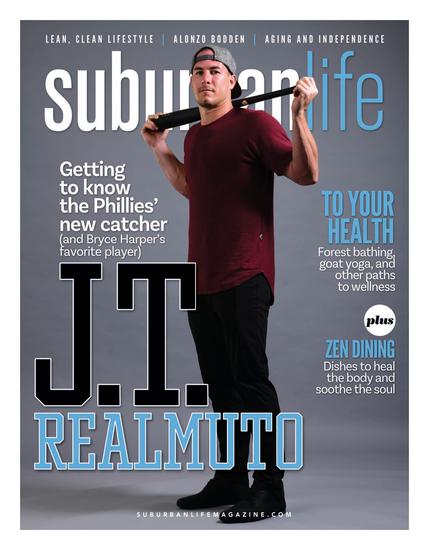 Suburban Life/Philadelphia Life spoke with Dr. Luciano to find out more about Concierge Medicine, why he’s making the switch, and how it will ultimately benefit him and most importantly, his patients. SL/PL: Can you explain Concierge Medicine in further detail? ML: Concierge Medicine is a membership model which supplies all of your primary care needs for a monthly or yearly fee, eliminates copays and deductibles and replaces them with an unlimited amount of phone calls or visits to your doctor. The practice size is limited, insurance is not accepted and patients receive a more personalized approach to maintaining optimal health by having their own personal doctor. This unique level of comprehensive and coordinated primary care allows for extended visits with the doctor; 24-7 access via cell phone, text, email and virtual visits. The size of my practice will be limited to only 500 patients and they will have extended, unhurried office visits so they have time to ask all their questions. Currently I have over 3,000 patients in my traditional insurance practice and had a long waiting list for some time for new patients because I don’t want to compromise care. There’s a big convenience factor where patients will have the ability to schedule same day or next day appointments. In addition, the Concierge practice will offer enhanced coordination of care with specialists and assistance scheduling appointments done by our friendly staff, and comprehensive physicals that allow more time than a typical physical would cover. Other services that will be included are annual body composition testing, onsite blood draws and convenient access to all medical records stored in a patient portal or uploaded onto a flash drive. SL/PL: Why did you ultimately choose to transition to this model? ML: The current health care environment has become very complex, inefficient and costly. Insurance companies have become focused more on population health data instead of the health of the individual, which in turn has increased the administration burden on physicians and their staff. I became a physician to take care of people and it has become more about checking boxes off to satisfy insurance companies, paperwork and a complicated billing process. This is taking away time from the patients and leads to longer lead times to schedule an appointment and crowded waiting rooms. The only way to sustain a solo practice like I own is to see 30 or more patients a day to sustain overhead. The large volume of patients that are required for doctors yields an average of eight minutes per patient and that, I don’t believe, is good health care. I want to be able to spend more time with my patients. Additionally, many physicians feel that health insurance should be treated like auto and home insurance. Just like car insurance doesn’t include your gas and oil changes and home insurance doesn’t cover a clogged drain, health insurance should be used to pay for labs, outpatient testing and hospital visits and exclude primary care to improve efficiency and offer a better patient experience. SL/PL: What are the benefits? ML: Ease of access and convenience. If patients are working and can't get off, instead of diverting to urgent care, I discuss with them potentially through a virtual visit call. I can see if there's an issue, such as a rash, and they can text or Skype me. SL/PL: What is the fee to be a patient of the practice, and do you recommend patients continue to have health insurance? ML: My patients will have a choice between a yearly fee of $1,800 or a monthly fee of $165. It’s extremely important for patients to maintain health insurance for care they would need to get outside of my office, such as outpatient testing or hospitalization. There are unexpected high cost bills; an emergency room visit and hospital stays can cost thousands of dollars. SL/PL: What happens to those patients that can’t afford this model or choose to continue to use their insurance for primary care services? ML: It is with a heavy heart that I will be unable to care for all of my patients as I am limiting my practice size to provide this type of enhanced Concierge patient care. I treat every patient like family, so it is difficult knowing I will be unable to care for each of my loyal patients. I always believed in this type of direct primary care where third party payers can no longer dictate the way I care for my patients. I have thought about this for a while and I wanted to make sure my patients have a smooth transition and find them a new medical home. I have chosen a well-respected local doctor near my office that I will be working closely with to transition those patients to that practice. I take this very seriously and want to make sure they continue to have good medical care. To inquire about becoming a patient of Dr. Luciano, call (267) 961-4922 and ask to speak with Maureen, the practice manager. Published (and copyrighted) in Suburban Life Magazine, August, 2017.